You know we didn’t hang around in summer – your mobiles and tablets were given several new Locus versions since last “big” update. However, they weren’t versions in the main 3.X line but in the subsidiary 3.18.X line and those we call just “additionals” or “revisions”. In order to issue the new 3.19 we waited for something really special. And as it is a tradition in Locus team, again there is quite a lot of it. We must boast a bit… we are happy to announce we have partnered with the provider of NeoTreks maps(ex-AccuTerra) that belong to the best you can get for your outdoor adventures in the area of the United States. You can find them now in our Locus Store – NeoTreks Land Cover maps and NeoTreks Land Use maps. While the first one depicts in detail the character of the terrain and vegetation coverage of the land and provides a clear and easy-to-read background for your further mapping, Land Use displays a layer of land property owners and managers. That might come in handy in many situations. Both maps, of course, contain detailed network of trails for all possible outdoor activities, counting more than a quarter million miles. American National parks with their amazing nature and landscape await you and look forward to being thoroughly explored now with Locus. And don’t worry about the internet connection – NeoTreks Maps can be used offline only. After saying goodbye to MapQuest we had to solve quickly the demand for a quality satellite map for U.S. users. 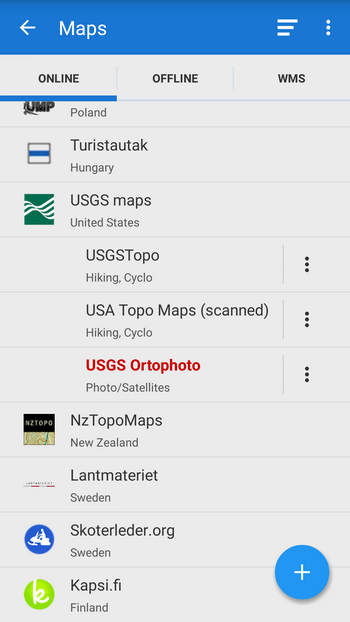 We found it in the aerial map of USGS agency. 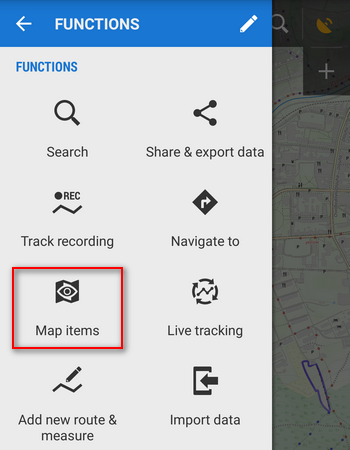 The map is available online in zooms up to 18, it can be cached and also downloaded for offline use within the limit of 10000 tiles a day. You can find it in the online tab of your Locus map manager. 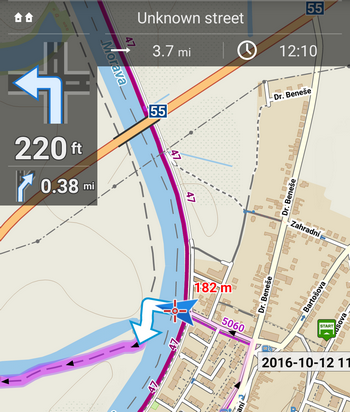 Many of you wished Locus navigation displayed not just one but two navigation commands at once – two voice commands weren’t enough. Therefore, we inserted another small box with navigation command, its distance and junction shape under the main “arrow” box. 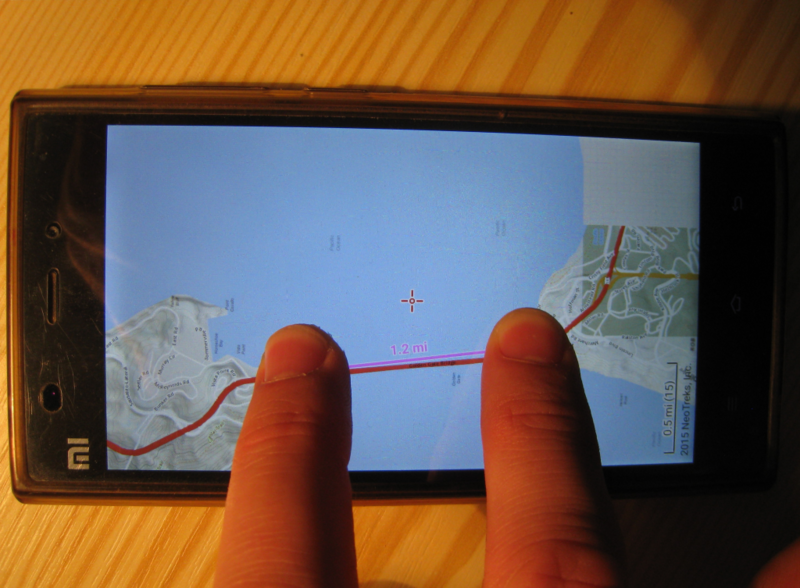 The navigation is smoother now and you know about the direction changes in proper advance. 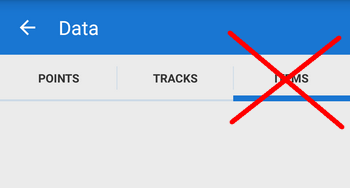 As you probably all know, Locus records tracks within pre-defined recording profiles. 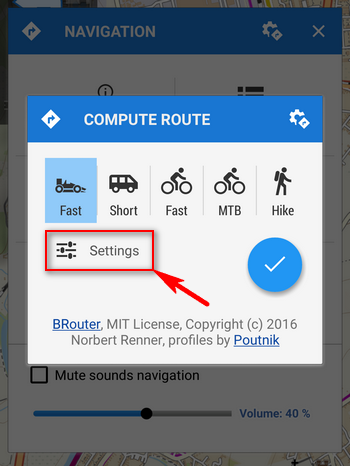 Each profile has different parameter values depending on the activity it represents – recording of MTB track is different than of walk, hike or morning run. Quite often there was a mess in the records when users forgot to switch profiles and the track wasn’t recorded as they wanted or it was stored in a different folder or a wrong training scheme started with the recording. That’s why we simplified the approach to switching profiles. 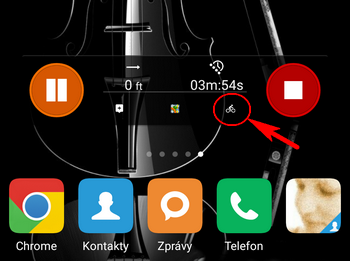 Many of you start the track recording by the widget. From now on you can see your actual active profile on it. If you need to change the profile, tap the icon and you’ll get into the settings part. Users of the compact bottom control panel got better view of their profile too – just tap the tool button and they see the icon of the profile on the place of settings button. Tapping it, again, gets you into the profile settings. Items Tab is dead, long live the Map items screen! Management of the Items, i.e. 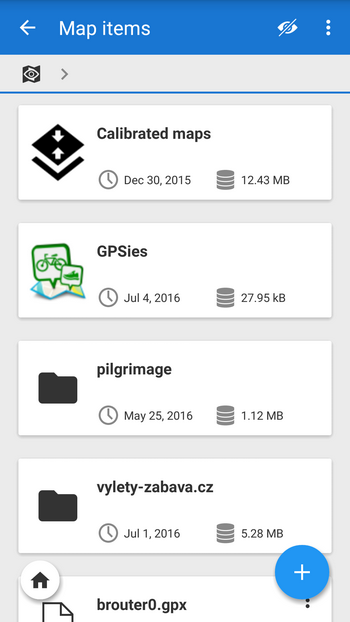 autonomous files KML and KMZ that can be visualized above a map in Locus and also in Google Earth, has always been a hassle. And not only for our users but also for ourselves. As a result we abandoned the original solution in the data manager tab and implemented a brand new Map items screen that manages items much more intuitively. We can’t end the new Locus version blogpost otherwise. 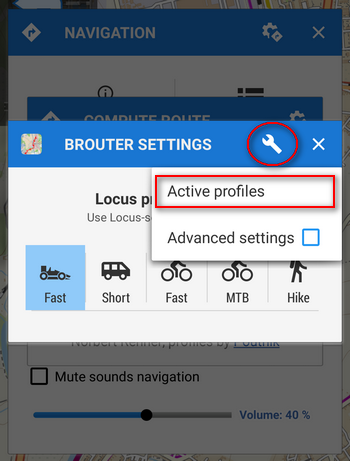 Again, we fixed a lot, revised a lot, improved a lot… Locus Map is a very complex software and the Android environment provides much space for its development but also it brings a lot of threats in the means of thousands of makes and sorts of devices and also versions of the OS itself, on which Locus must run flawlessly. And that means really loads and loads of work for us. What else? It is possible to edit style of multiple tracks, to display absolute time of sunset and sunrise in the topbar, guidance displays also ETA and time to target etc. etc. The complete list of changes is available as always in menu > About application. Enjoy the new Locus, the autumn is here in full scope! Lots of new features and ‘stuff’. 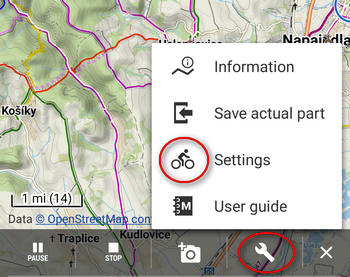 In brouter how do you get the Motorcycle profile to show? Is that something that needs to be updated or installed? I have used brouter for a long time and liked it for the most part. But I would like to try out this new feature and when I checked after my update of Locus it was not there. 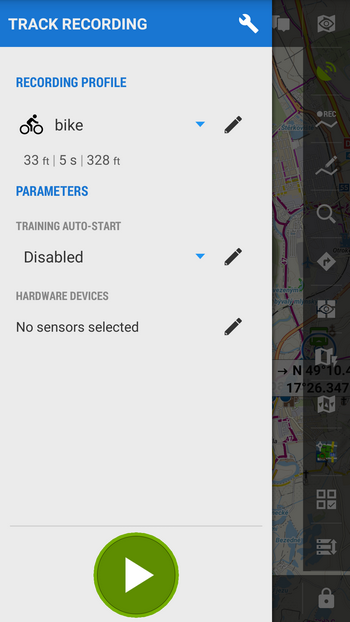 the procedure is described in the article accompanied with screenshots – set BRouter as your navigation data source in settings > navigation. 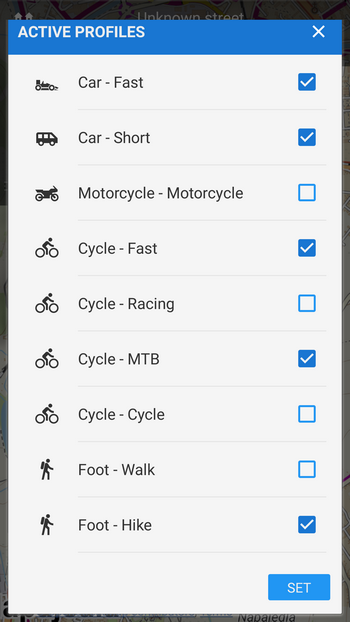 Then tap the ‘Navigate to’ function, select target, then a dialog with navigation profiles emerges, tap ‘settings’, a new dialog named BROUTER SETTINGS appears, tap tool icon in the topbar > Active profiles > check motorcycle > tap SET – the motorcycle profile appears among other navigation profiles. 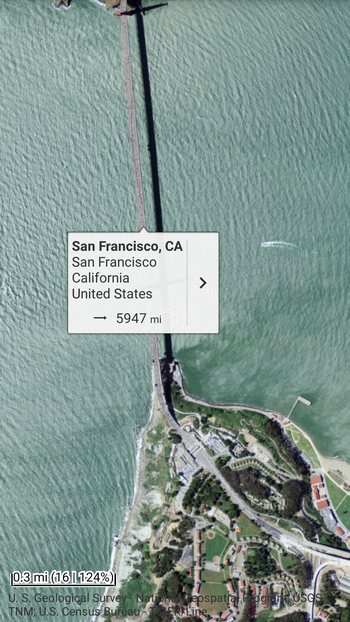 Measure distance? Well why you do not include information how to enable it?